Shortlisted for the 2015 Deutscher Memorial Prize. 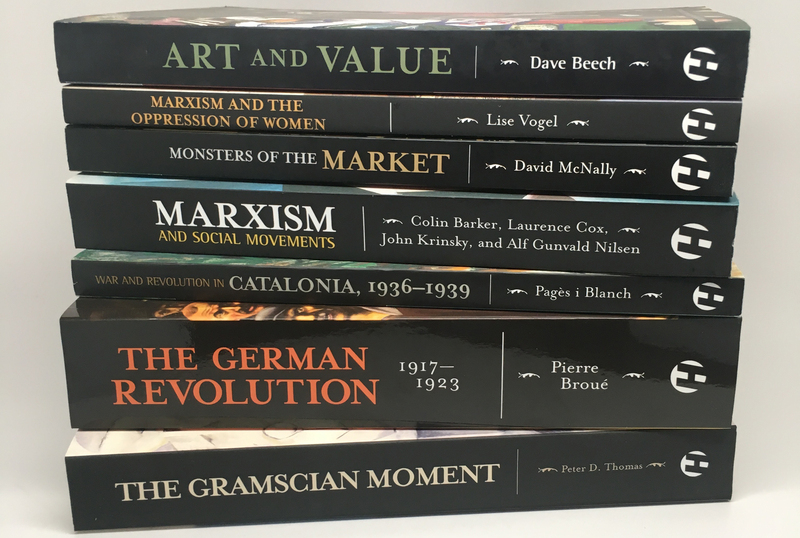 Art and Value is the first comprehensive analysis of art's political economy to be found in classical, neoclassical and Marxist economics. It provides a critical-historical survey of the theories of art's economic exceptionalism, of art as a merit good, and of the theories of art's commodification, the culture industry and real subsumption. Key debates on the economics of art, from the high prices artworks fetch at auction, to the controversies over public subsidy of the arts, the 'cost disease' of artistic production, and neoliberal and post-Marxist theories of art's incorporation into capitalism, are examined in detail. Through this exacting critique of mainstream and Marxist theories of art's economics, the book arrives at a new and highly origianl Marxist theory of art's economic exceptionalism. [Dave Beech’s] book is well worth reading for anyone trying to grasp the strange place of art in our present social order, in which (even after the crash of 2008 revealed the reigning neoliberalism for the calamity it is) money is represented as the one unassailable truth. In meticulous detail, Beech demonstrates how works of art are 'economically exceptional': that they are not in fact produced as commodities but only come into relation with the commodity form in ways that are not eternal, necessary, and incurable, but social, changeable, and even insignificant. It opens an authentically new dimension in this long debate and, in doing so, shows us a model of artistic, and by extension, social and political freedom that can inspire hope, confidence, and daring. This is a book of, and for, high spirits. Andrew Kliman, an economist and Professor in economics at Pace University, New York. "We're all looking for an opening. Dave Beech has put his hand on a key hidden for decades under a mountain of gloom. The result is Art and Value. I've never read anything like it … In meticulous detail, Beech demonstrates how works of art are 'economically exceptional': that they are not in fact produced as commodities but only come into relation with the commodity form in ways that are not eternal, necessary, and incurable, but social, changeable, and even insignificant. It opens an authentically new dimension in this long debate and, in doing so, shows us a model of artistic, and by extension, social and political freedom that can inspire hope, confidence, and daring. This is a book of, and for, high spirits. —Andrew Kliman, an economist and Professor in economics at Pace University, New York.